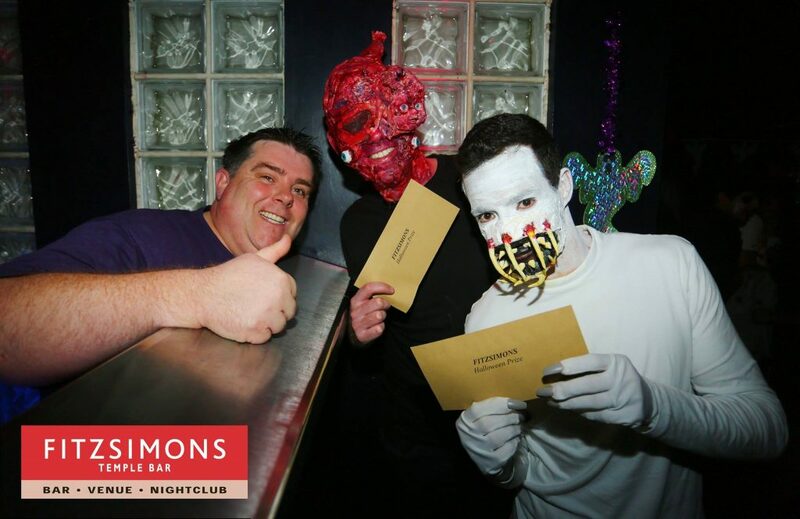 Fitzsimons Temple Bar is this Halloween’s top destination in Dublin City! As with every year, we are excited to offer the biggest party in Temple Bar, with €2000 in cash prizes on offer for best dressed! Sign up for our all-weekend guest list to get free entry before midnight to Pop City! The festivities kick off every night from Friday the 26th to Sunday the 28th. Located in the heart of Temple Bar, Fitzsimons will have all 5 floors open and decorated for the occasion! Come dressed to impress and try for one of our cash prizes being given out every night of Halloweekend! Our professional photographer’s shots will be available for free on our Facebook! In celebration of Pop City’s first ever Halloween, we’ll be giving away special prizes to those who really fit in downstairs! We’re looking for your best 90’s themed costumes all weekend in Pop City! 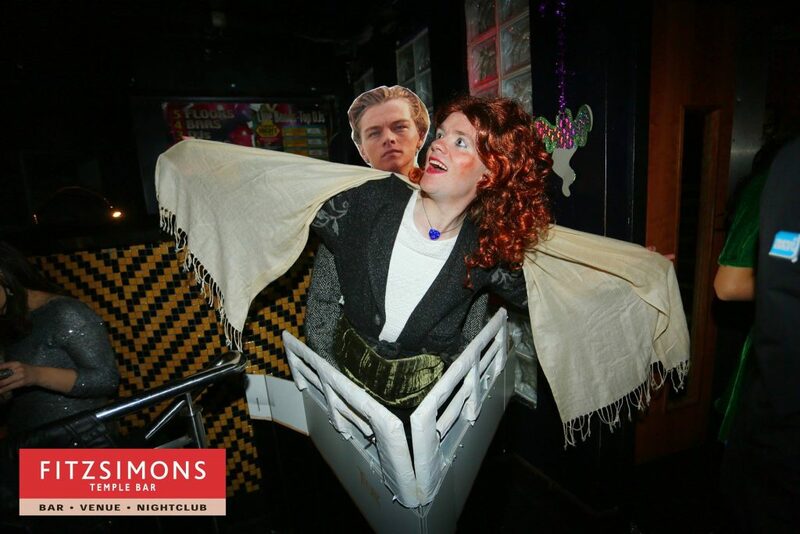 Think you can top this Titanic classic? We want to see 90’s horror classics, Scream masks for days, and all your favorite celebrities of the decade! Spice Girls, Daria and Jane, the Fresh Prince, you name it! Register for our guest list for free entry before midnight to Pop City all three nights of the weekend.